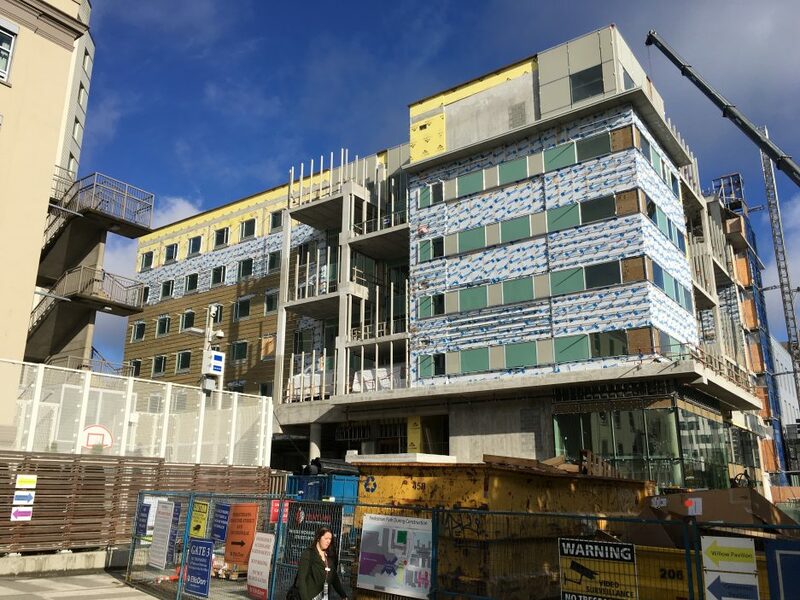 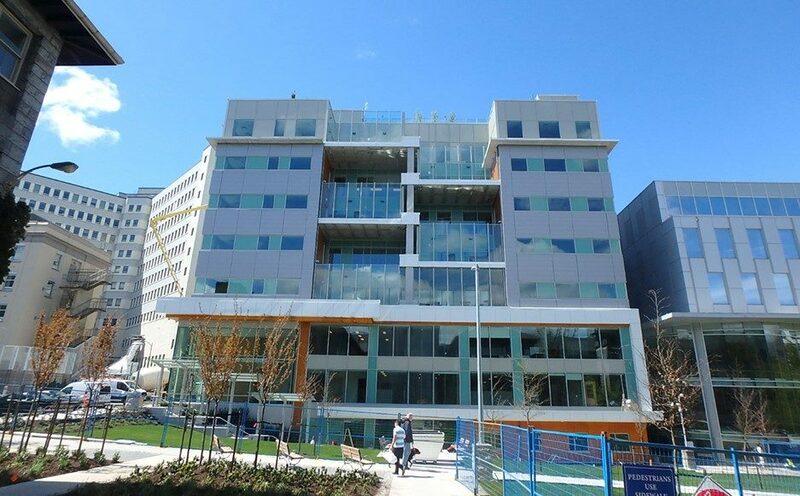 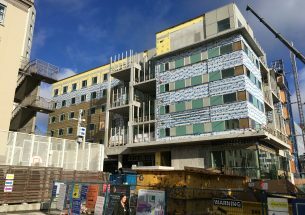 The Joseph & Rosalie Segal Family Health Centre is a new, 8-storey facility located on the Vancouver General Hospital grounds, and is the largest facility of its kind in BC. 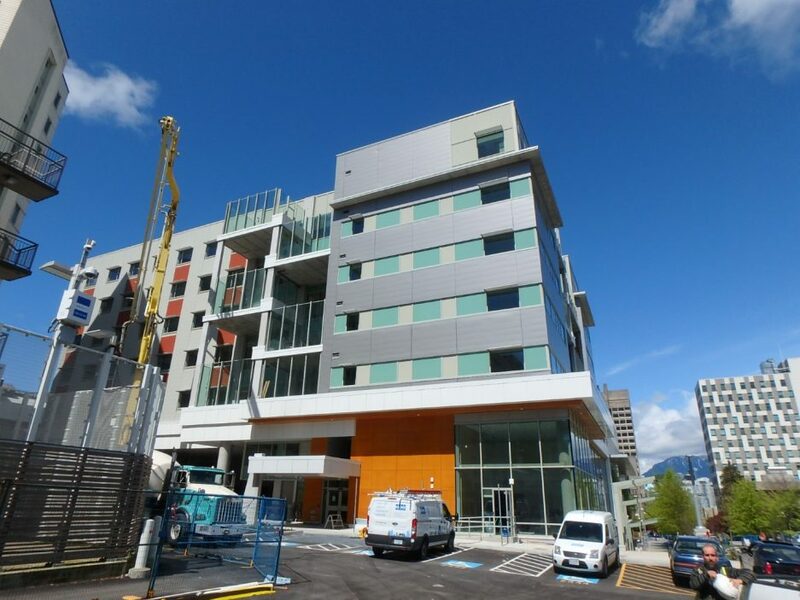 The building was designed to meet LEED Gold green building certification standards. 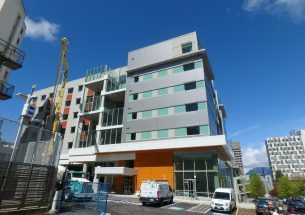 BC Building Science played a unique role in this project, as we were engaged as part of the Building Owner’s Compliance Team to complete third-party reviews of the design and construction of envelope aspects of the project. 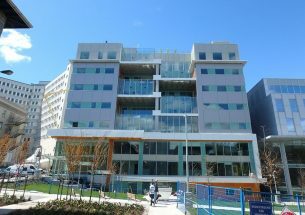 Building Envelope Commissioning Services were provided by BC Building Science to ensure that the Owner’s project requirements were achieved. 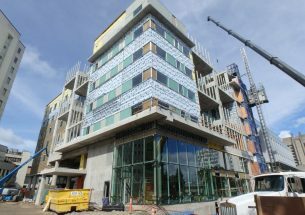 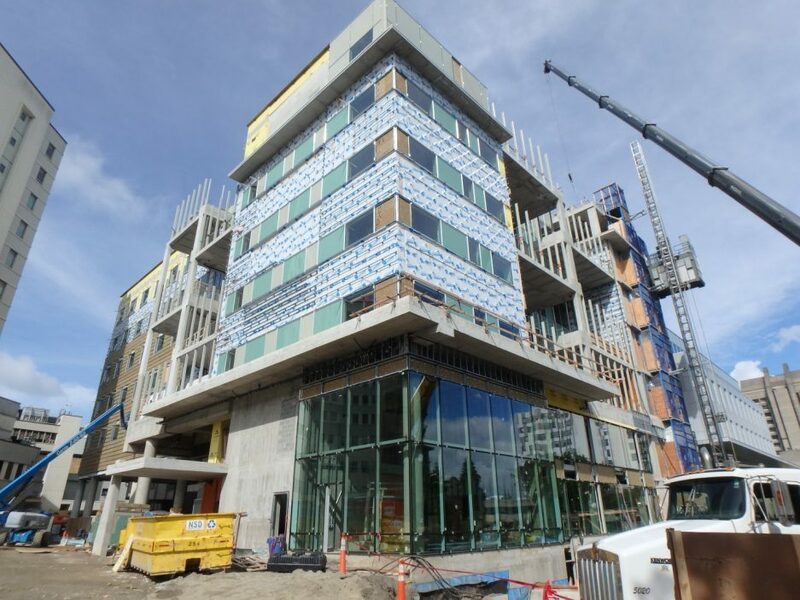 The facility is concrete framed, with exterior insulation, thermal isolation clips, composite aluminum cladding, punched windows, and curtain wall. 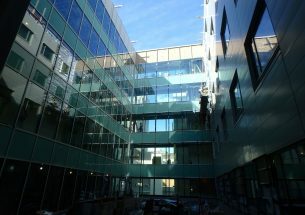 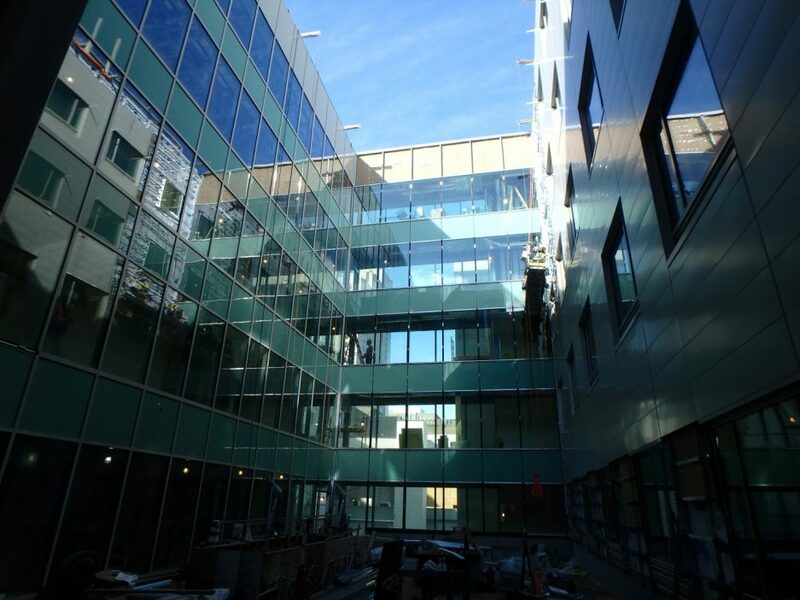 From an envelope perspective, the building itself is also unique due to its use of high performance security windows, rooftop gardens, an enclosed courtyard at the center of the building, as well as its proximity to adjacent hospital buildings.